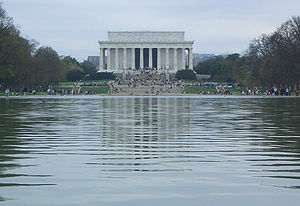 A Mormon television star stands in front of the Lincoln Memorial and calls American Christians to revival. He assembles some evangelical celebrities to give testimonies, and then preaches a God and country revivalism that leaves the evangelicals cheering that they’ve heard the gospel, right there in the nation’s capital.The news media pronounces him the new leader of America’s Christian conservative movement, and a flock of America’s Christian conservatives have no problem with that.If you’d told me that ten years ago, I would have assumed it was from the pages of an evangelical apocalyptic novel about the end-times. But it’s not. It’s from this week’s headlines. And it is a scandal. via Moore to the Point by Russell D. Moore. This is an important read, not for the political or social implications, but instead for the spiritual implications that is posed to the church. I would encourage you to read Dr. Moore’s perspective and consider the argument that he is making for the church. To my astonishment, I find myself agreeing with this post.